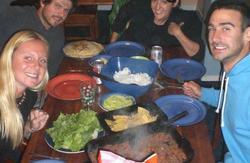 Absoloot Value Accommodation (AVA) opened in June 2010 with a variety of accommodation options for the backpacker, flashpacker and value-seeking traveler! AVA has an outlook second-to-none and four stories worth of character and comfort. 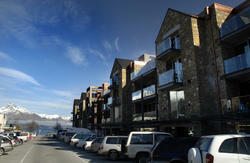 AVA is spectacularly located on the lakefront right in the centre of Queenstown. Newly refurbished, it offers boutique dorms (6 beds maximum), double and twin rooms. Fresh, contemporary style with space to play and space to relax. As guests you will have access to a fully equipped kitchen, TV and games room (including SKY channels), storage and drying Rooms, and brand new laundromat. Every room is ensuited with key card entry, 24 hour guest access and 24 hour security. 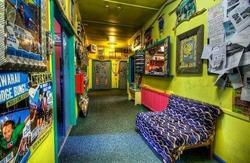 AVA is a boutique backpackers in that we only have four and six bed dorms and we have a maximum occupancy of 112. We provide free linen and towels for all guests, and every bathroom includes hair and body wash for everyone's use. Each room has been fitted with secondary glazing and shutters to keep the heat in and the noise out. And there's a heat pump/reverse-cycle air-conditioner in every room, so you can stay warm in winter and cool in summer. The beds are fitted with reading lights, and extra power points so you can charge your phone, laptop and ipod all at the same time if you wish! There's also a fridge in every room, so you can keep an eye on your personal food. And if you feel like chilling out at the end of the day and want to do your own thing, there's an LCD TV in every room, so you don't always have to watch what everyone else wants to! The Guest TV and Games Room has an awesome view over Lake Wakatipu, and bi-fold windows so it can get those summer breezes through. There's a pool table, Nintendo Wii and various board games to incite some healthy competition, and a 42 inch LCD television for movie evenings and major sporting events. Our Guest Kitchen is on the ground floor with multiple microwaves, kettles and utensils so that you don't have to trip over each other. There's also a sitting area with gas fireplace where you can enjoy your hot chocolate, tea, coffee or beverage of your choice at the end of the day. And of course, we have a Tour Desk so that we can help you find the most suitable activity for you to fully experience the Adventure Capital of the World! Driving Directions From Queenstown Airport: Turn right onto Kawarau Road, turn left onto Frankton Road and follow until it becomes Stanley Street. Once on Stanley Street turn left onto Shotover Street, then left onto Rees Street and make an immediate right into Beach Street. Then find yourself a park because you've done it, we are the 3rd building on your left. 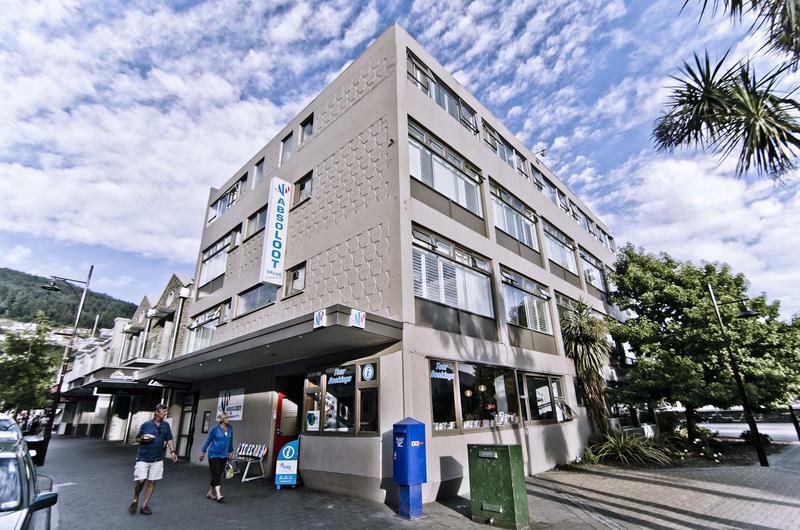 Walking Directions From Bus Depot (The Station): You are at the corner of Camp Street and Shotover Street, so take a left down Shotover Street (towards downtown), then take a left onto Rees Street and take an immediate right onto Beach Street. Congratulations, you've done it, we're the 3rd building on your left. Walking Directions From Tour Operation Buses (Shotover Street stop): You are already on Shotover Street, so come down Rees Street and take an immediate right onto Beach Street. Then come in and relax, you've done the hard part, we're the 3rd building on your left.